For two years, the small but growing Integral Church community has met outdoors, in the beautiful and spacious parks of St. Petersburg, FL and for two years, the weather on the third Sunday of the month has been gorgeous. 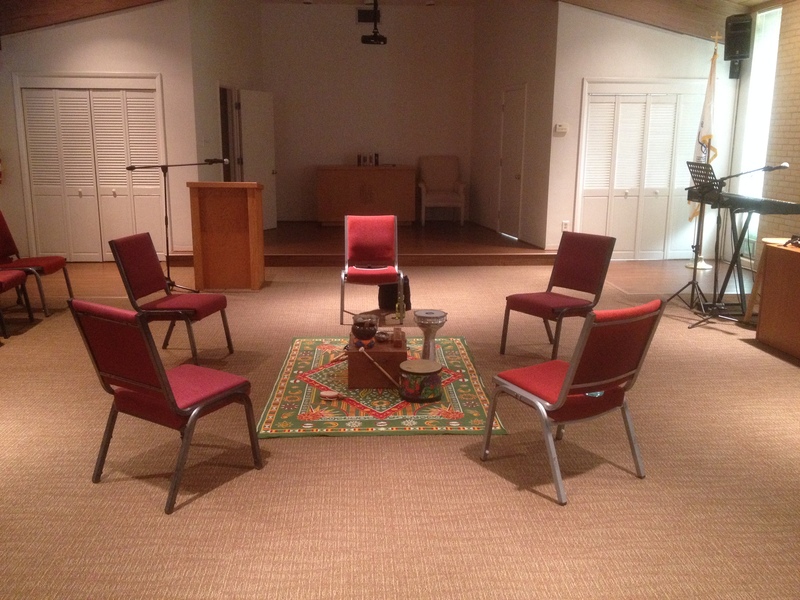 We have had the honor and pleasure of gathering to discuss religion, philosophy, science and spirituality accompanied by music and meditation. We have deeply listened to one another and formed lasting and meaningful relationships. Starting in February, we are starting up a new monthly service. On the first Thursday of the month, beginning February 5, we will be meeting in the chapel at Trinity Multicultural Center from 6:30-8 p.m. This indoor service will differ from the Third Sunday services (currently held at Crisp Park) in that there will be chairs, a roof and four walls. For now, the order of service will remain the same at both services but the guests (speaker, musician, meditation) will change at each, so we encourage you to attend both if possible. First Thursdays will allow for our community to include those who just can’t be present on a Sunday morning, and we know there are more than a few of you! I also want to extend my deepest gratitude to all those who have made the time to gather with us (however briefly) this year and have shared in this experience. I realize that in a circle there is no “back pew” allowing someone to discreetly hang behind and observe while other people read things aloud and participate in group activities. To those of you who continue to show up, there are no words to convey my appreciation. As our services continue to evolve, I rely on you for input on what is working and what is not. If you believe that ALL of the world’s religions have meaning and that no perspective is completely irrelevant, I encourage you to come and check out what we’re doing. If you are interested in meeting with other people in the spirit of interfaith (religious and non-religious) conversation and integral (radically inclusive) spirituality, I encourage you to come and check out what we’re doing. If you are seeking people committed to personal transformative practice, community service and religious literacy, I encourage you to come and check out what we’re doing. We look forward to meeting you, learning from you and experiencing Spirit-in-Action together. For a list of all our gatherings and groups, click here.